Welcome to the DoubleTree Suites by Hilton Hotel & Conference Center Chicago – Downers Grove hotel. Experience a warm welcome on arrival to this all-suite Chicago area hotel with a warm DoubleTree chocolate chip cookie. 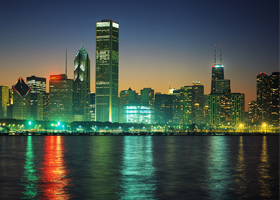 Enjoy easy access to bustling downtown Chicago, just 30 minutes away. The hotel provides a complimentary shuttle service within a 5-mile radius of the hotel.